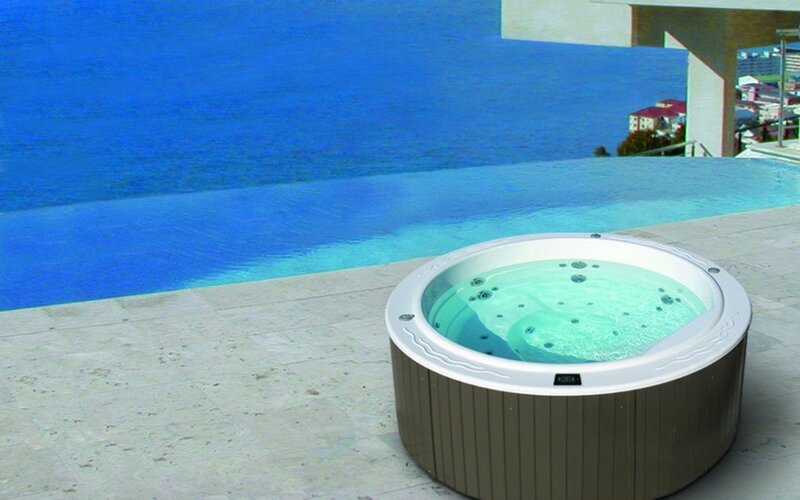 The Moonlight Spa is the circular model, a 5-person hot tub with enough space (2.05 m in diameter) to share relaxing, de-stressing, and happy moments as a family or with close friends. A circle is the perfect shape, with this format being ideal for chatting with your fellow companions in the hot tub, in the same way as round tables in restaurants. 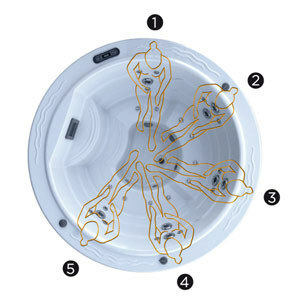 The standard model comes with the same features as the Pearl hot tub. The Moonlight is equipped with 22 water jets and 10 hot air jets, arranged in the 5 different massage positions in each of its seats, all of which can be regulated using our control panel system. The result is a full massage of the legs, buttocks and back. 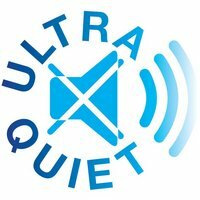 It also includes a LED light for chromotherapy and a simple and convenient aromatherapy system, as well as the option to add the Bluetooth Audio system with high-quality sound equipment controlled from any mobile device. The Moonlight Spa is available in 3 different colours and two types of woods for the cabinet. 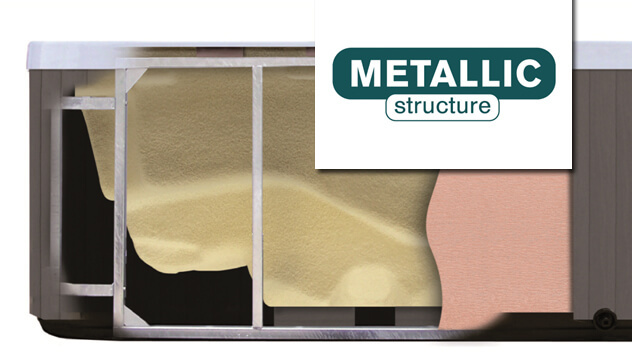 You can also buy it without a cabinet to build it into the ground or cover it, indoors or outdoors, and it will still come with its robust metal frame and thermal insulation system. 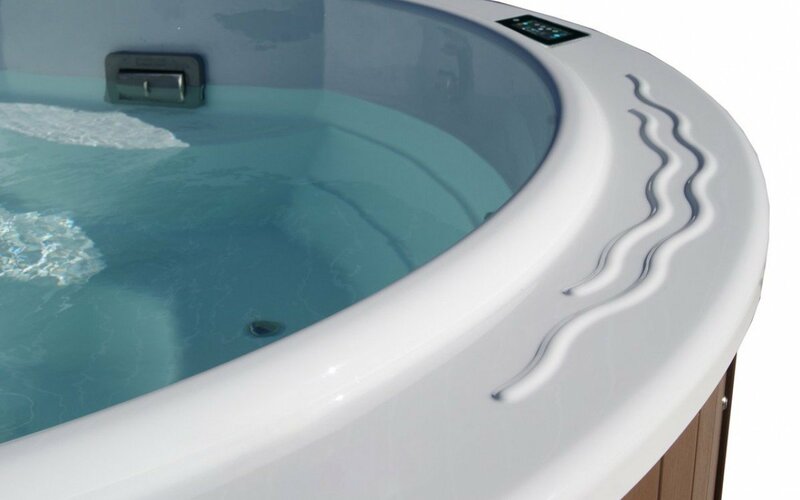 The Moonlight Spa features a very interesting shape for your home if you have the space to show it off, as its circular shape and sharp look make it the centrepiece of any space. 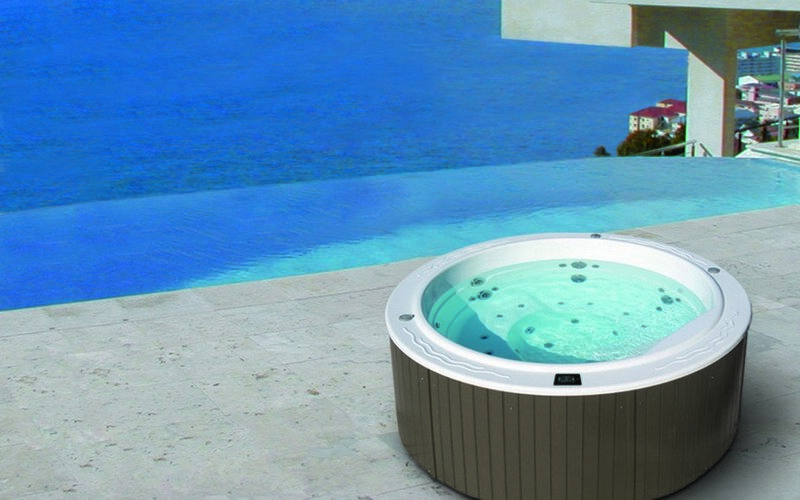 Circular hot tubs are specifically recommended for use as the central item in a large space. 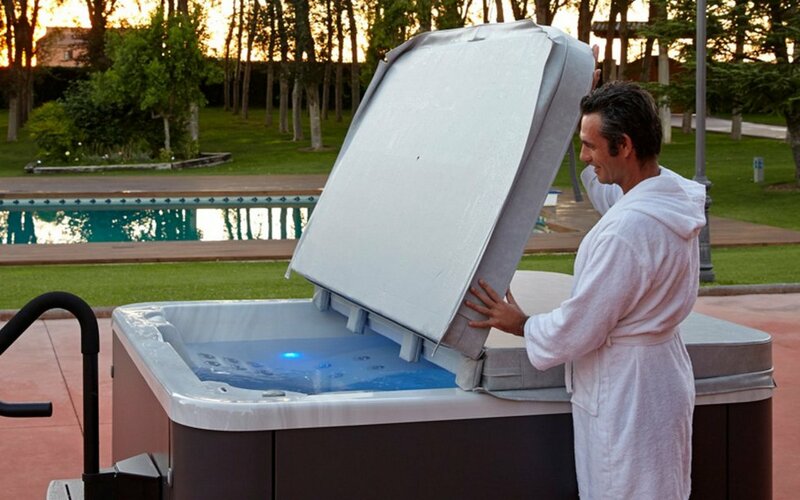 As a member of the Aquatica Spa range, it has an unbeatable quality-to-price ratio and market-leading features within the portable hot tub segment. 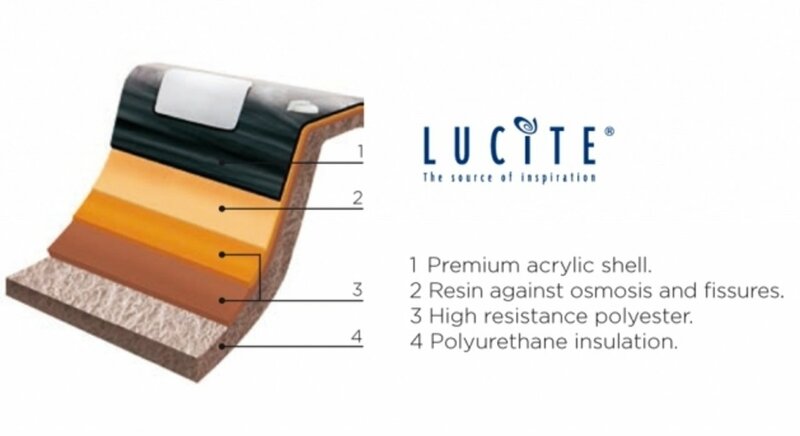 A total of three powerful colour LEDs that light up the interior of the hot tub, turning it into a chromotherapy centre. Non-slip steps that make it easy to get in and out of the hot tub. 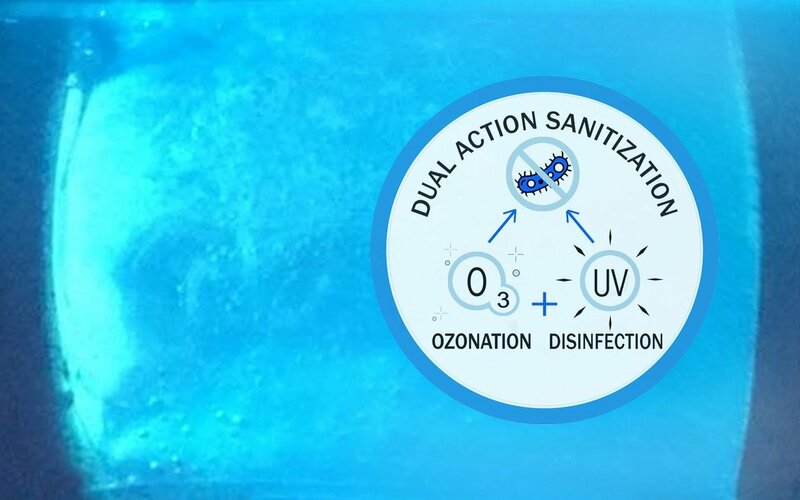 It injects air into the hot tub, generating thousands of bubbles which relax your muscles when they come into contact with your body. Located in the lower back and leg areas, the air nozzles are perfect for finishing a massage and relaxing your muscles. The “Venturi” control allows you to adjust the intensity of the massage. Go from a gentle massage to a high-intensity jet with the simple turn of the control nearest to your position. Two jets positioned to massage the upper back, plus two for the middle and lower spine, and one for the back of each leg. Massages to the thoracic region relax the muscle groups on either side of the spine, whilst stimulating breathing and blood circulation thanks to the pressure exerted on the back. This therefore alleviates muscle strain in the back as a result of bad postures or muscle weakness and stimulates blood circulation, which is further boosted by the pressure points on the legs. Jets positioned to massage the middle of the spine and upper back, the back of each leg and the back of each knee. The pressure on the upper back give the muscles in the area full relief from strain. Suitable for sportspeople who have to make great demands on the muscles in the shoulders (motorcyclists, swimmers), workers who carry loads on their shoulders and anyone else who is unaccustomed to lifting weights, such as rucksacks and school satchels. The massage to the legs enhances the feeling of relaxation given by the pressure on the back and the massage on the back of the knees helps recovery from injuries, and reduces the fatigue felt by hikers, cyclists, overweight people and swimmers with problems of muscle weakness or bad posture. Jets positioned to massage the middle of the spine and upper back, and one for the back of each leg and one for the back of each knee. Like the massage in position 2, the pressure exerted relaxes the back muscles. The massage to the legs is identical to the previous position. Jets positioned to massage the middle and lower spine and back muscles, and one for the back of each leg and one for the back of each knee. This massage position concentrates on the spine so that all tight muscles are loosened, which gives a great feeling of relief and well-being. It is recommended for office workers and people who spend a lot of time sitting down. The massage to the legs is identical to the previous positions. Jets positioned to massage the middle and lower spine and back muscles, and one for the back of each leg and one for the back of each knee. 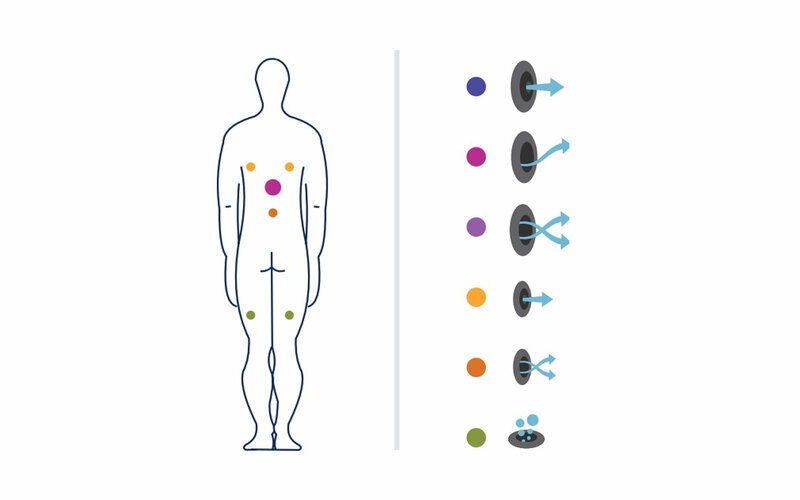 The jets found on a level to the top of the lungs contribute to improving the respiratory and lymphatic system, whilst the pressure on the middle and lower spine helps relieve strain in the surrounding muscle groups. This massage is recommended for people whose work habitually requires them to adopt a stooped posture, and for professional cyclists and motorcyclists. The massage to the legs is identical to the previous positions.